The U.S. Postal Service offers several options for sending packages, ranging from overnight delivery to the less expensive parcel post, which can take from two to eight days depending on the distance. There are varying package size restrictions for each option. Package size limitations are based on a combination of length plus girth. Measure the package along the longest side and then completely around the package at its widest. The total of these two measurements cannot exceed 130 inches. Additional charges will apply if the length exceeds 34 inches or the width or height exceeds 17 inches. For first class, priority or other mailing options, length plus girth (measured as described above) cannot exceed 108 inches. 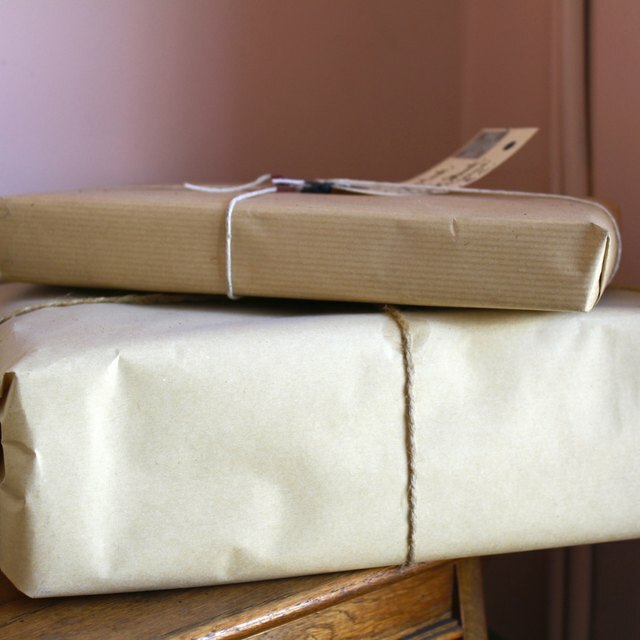 The Postal Service also offers a flat-rate box for priority mail service; the largest size is 12 by 12 by 5 1/2 inches. For the Global Express Guaranteed service, length plus girth cannot exceed 108 inches, length or height cannot exceed 46 inches and width cannot exceed 35 inches. For other international mailing options, size restrictions vary by the destination country. For specific information about these options, call the Postal Service at 1-800-275-8777.